Ask anyone involved in the heady world of fashion retailing, and they will confirm that Christmas brings marketing and visual merchandising opportunities too numerous (indeed, ask an academic such as Danny Miller with his Unwrapping Christmas, 1993). 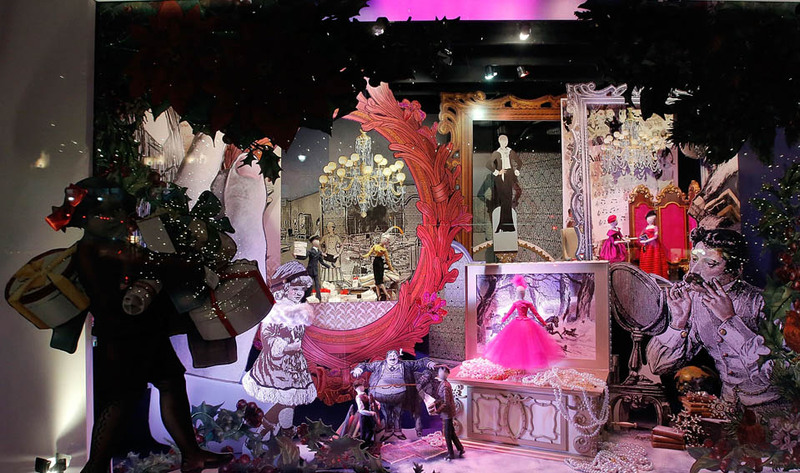 This reaches its apotheosis on New York’s Fifth Avenue in the form of the ‘holiday window’. Any attempt to hurry along Fifth (and I know from experience as I scuttled to a meeting with the Associate Dean at Parsons last week) is rendered impossible these days due to the crowds of bright-eyed, wondrous tourists (and, I’m sure, a fair share of locals, too) gazing at the seasonally-dressed windows of Bergdorf’s and Sak’s. These camera-clicking crowds form something of a hurdle to be navigated by the busy pedestrian and suggest that the exterior of these luxury stores can be destinations, and tourist experiences, as much sought as the goods on offer inside. There are some captivating passages to that end in Zola’s Au Bonheur Des Dames (which should surely be a set text for any student on a fashion marketing degree programme?) if you’re prepared to overlook the French, rather than American, context. ‘Please Lord and Taylor, ask Elizabeth Hawes to design 2 loveable, tubbable frocks’. Bless Elizabeth Hawes, she heard and she answered with two frocks made of Suavelle, a sleek, supple silk with a satiny stripe. This lush fabric has been washed six times in the lukewarm suds of pure Ivory Flakes, and it wins a perfect washability score. But the goblins’ll get you if you dare to use less-pure or less-mild soapflakes. There’s an entire raft of print advertising like this from the 1930s that evidences the Hawes-Lord-&-Taylor relationship. But the relationship was visualised most effectively in the 1932 ‘American Designers’ merchandising campaign pioneered by the influential grande dame of American retailing and Vice President of Lord and Taylor, Dorothy Shaver. Against a backdrop of austerity, the purpose of the campaign was to encourage American female consumers to ‘buy American’ at a time when French fashion imports were de rigeur. The campaign centred on Lord and Taylor’s windows, which featured large photographic portraits of the (American) designers next to their garments. This ‘naming’ of designers (rather than manufacturers or stores) was an unusual, largely unprecedented, step. Elizabeth Hawes, along with Edith Reuss and Annette Simpson were at the forefront of the campaign and were the first designers to be pictured in the Lord and Taylor windows – literally becoming the ‘faces’ of a national fashion design movement. My archive work here in NYC undoubtedly bears this out: Hawes was an important, infamous, celebrated, figurehead. Happy Holidays. 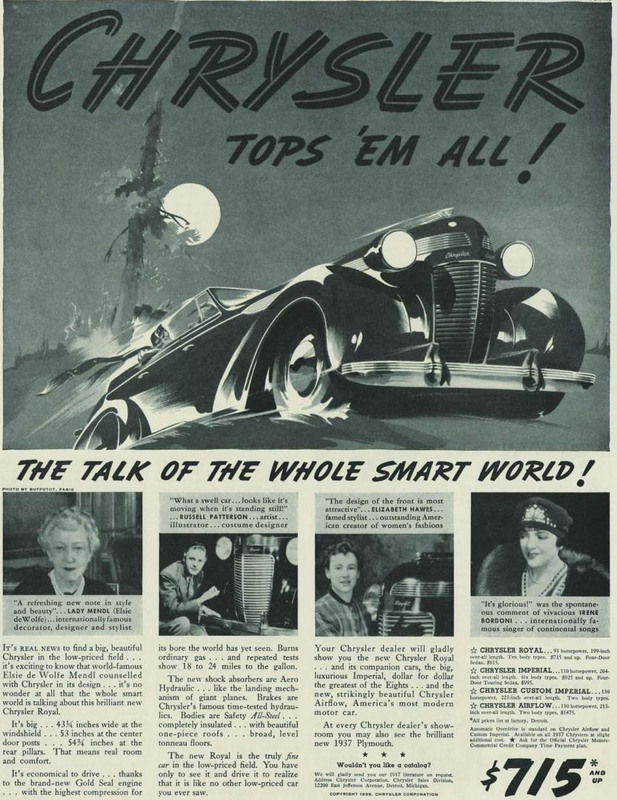 Liz Hawes, 2nd from right, endorses Chrysler cars in this 1936 ad from ‘The Saturday Evening Post’. Her cultural capital, identified as ‘smartness’ here, enabled her to reach beyond the world of fashion to add value(s) to other consumer products. By the 1920s and 1930s there were thousands of fashion businesses in New York, many of them run by women. I’ve been spending my time in the library (in addition to making my, now usual, pilgrimages to Brooklyn Museum) and have been reading lots and lots including the excellent, New York Fashion (1989: 100) by Caroline Milbank. In it, Milbank notes that “America’s first real crop of designers was predominantly female”. 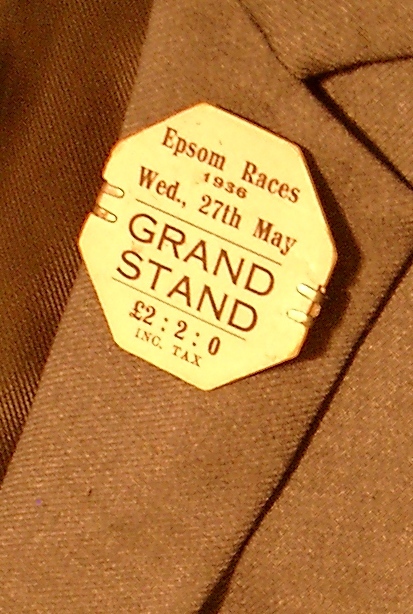 During the Thirties, what were traditionally referred to as the ‘needle trades’ were undergoing a repositioning in the American public consciousness so that dressmaking was no longer looked down upon as a humble craft but had become a popular, and acceptable, choice of career for young, ambitious, modern, middle-class women. Fashion design at the highest level allowed a clutch of talented American women – such as Muriel King, Nettie Rosenstein, Hattie Carnegie and Clare McCardell – to create and make clothing but also to be successful as business leaders, heading up their design houses and running commercial fashion enterprises (albeit often in association with a male partner or husband). Elizabeth Hawes sat centrally amidst this collection of contemporary fashion owner-operators. At least, she did – and she didn’t. As I’ve come to understand, Hawes was something of an enigma who tended to defy neat theorising. 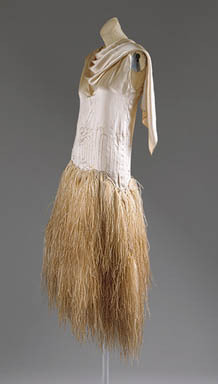 Valerie Steele (2000: 188) alludes to this, writing, “Elizabeth Hawes was a more unusual candidate for fashion design”, and whereas her peer, Muriel King, was being described by Vogue (1933) as “a sort of tawny goddess” and embodying the very essence of the sporty, long-legged American female for which she designed, Elizabeth Hawes attracted descriptors such as ‘practical’, ‘feline’, ‘tiny’, ‘energetic’, and also ‘cantankerous’. This point is borne out in a magazine article from Look of July 4th, 1939. A four-page spread is titled ‘Hattie Carnegie Vs Elizabeth Hawes’ and continues ‘Hattie Carnegie, She Emphasizes Femininity. Elizabeth Hawes…She Emphasizes Comfort’. Whatever the media perception, Liz was, nonetheless, among a cohort of designers who emerged as celebrities at this time (a term that I have wrestled with, and avoided, using but that I think ultimately best describes her status by the late 1930s). By way of evidencing this celebrity (there’s that term again), I refer to the several examples of product endorsement (or association) that the archives have thrown up in recent days, apricot brandy included. Wrigley’s gum, Chrysler cars, Lucky Strike and also Camel (to which my obtusely-titled blog entry alludes) cigarettes. Drinking, chewing, speeding, smoking. Together, this selection of products provides an intriguing, nuanced, unorthodox ‘take’ on femininity, the gendering of consumer products and the discourses spun around them by marketers and advertising. These endorsements suggest that Hawes brought a certain frisson to her celebrity. But, by now, we all could have guessed as much. 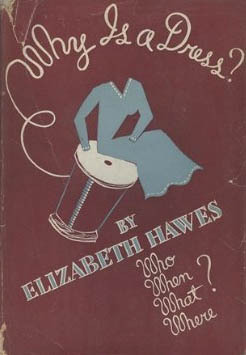 Cover image from Hawes’s ‘Why Is A Dress?’ (1942) featuring typically stylish graphics. Following in the footsteps of Liz Hawes as that most wily of self-publicists, it seems appropriate to give word of my latest publication, which hit the bookshelves today. The book is Fashion, Design and Events published by Routledge and is edited by Williams, Laing and Frost. I’ve contributed the second chapter, which bears the title ‘A Dashing, Positively Smashing, Spectacle…’. And actually it isn’t so incongruous to mention this latest chapter here because it does contain fleeting reference to Elizabeth Hawes. And with a subtitle of ‘female spectators and dress at equestrian events in the United States during the 1930s’ the piece maps out much of the context, and lends inspiration, to my current activities here in NYC. Hawes, of course, published numerous books throughout her lifetime. The subject matter of these books reflected her varied interests and causes, such as gender equality, workers rights and fashion ethics. Her titles included Why Women Cry Or Wenches With Wrenches (1943); Why Is A Dress? Who, When, What, Where? (1942); It’s Still Spinach (1954), and I’ve also been labouring over the multiple drafts of an unpublished manuscript from the 1970s, lodged in the FIT archives, and tentatively titled by Hawes as ‘Now That Fashion’s Gone To Hell’, which advocated gender neutral clothing. I’ve blogged previously here and here on Hawes’s most celebrated tome Fashion Is Spinach (1938) and I am gleaning more and more information about the events, publicity and (to use a nice marketing-type of phrase) brouhaha that ensued following its release as I rummage deeper and deeper into the holdings at Brooklyn Museum. The Hawes corporate press books from the era have clippings galore about, or with reference to, Spinach. The NY Times best seller lists from June 1938 are pasted into the cuttings books, evidencing that Spinach was indeed a national hit. The ‘out-of-town’ publicity cuttings show that Hawes went on a type of publicity tour around America promoting both her latest clothing collection and her book in provincial department stores. Interestingly, Baltimore’s Evening Sun of Monday October 31st, 1938 described Hawes, foremost, as ‘the author’, adding that Hawes was to “present the caviar of her Fall/Winter dress collection at Hutzler Brothers Co“. All of this is certainly testing my schoolgirl geography of US States. Moreover, these press articles and adverts suggest that Hawes used her dual careers as writer and designer to bolster each other. Fashion Is Spinach is referred to consistently by the press and seems to have become a value-adding factor in the selling of Liz’s designs but also Liz herself. Fashion Is Spinach was published by Random House, the US corporate headquarters being just around the corner from where I’m living at the moment (if only they knew?). I was utterly tickled by the copy on the original launch party invitation issued by Random House (and held by the Brooklyn Museum archives). As chance would have it, I’m attending a book launch this evening at the Historic Buildings Preservation Society. I must remember to keep my hands to myself! “Random House invites [ ] to a cocktail party in honor of MISS ELIZABETH HAWES to celebrate the publication of her new book FASHION IS SPINACH on Thursday afternoon, March the seventeenth at the establishment of Hawes Inc. 21 East Sixty-seventh Street. There will be a showing of Miss Hawes’ spring collection at five thirty sharp. Literary connoisseurs, possibly unfamiliar with such goings on, are requested to keep their hands off the models. R.S.V.P., 20 East 57 Street”. I offer here more morsels from the Parisite (aka Elizabeth Hawes) cables mentioned in my previous post of 27th November 2013. These cables lend themselves perfectly to the blogging genre: short, pithy, colourful, amusing. And as standalone pieces in themselves, they make for entertaining snippets requiring little additional input from me. However, before reading on, it may be worth my while mentioning here that, although short in length, these cables are extremely useful to the dress historian and serve a studious purpose beyond mere entertaining vignettes. The detailing of the specifics of Parisian fashion, which can be pinpointed to a particular day or week in history, allow for the tracking of passing and/or enduring tastes. Parisite gives us insight on favoured colours, cuts and fabrics. What I find particularly fascinating is that these cables also give the dress historian details and descriptions of the individual styling of garments, with advice – prescription, even – on how something should be worn in order to be considered truly ‘smart’. In her cable dated 26th September (1927), for example, Parisite reports that “PARISIAN HATS ARE WORN OVER THE FOREHEAD AND WITHOUT FLOWERS”. The published response to this news from Parisite’s New York-based editor (writing under the pseudonym ‘L.L.’) is as instructive. This is “something of a sock in the jaw to a girl” writes L.L. “who climbed blithely on the bandwagon of those who sponsored the off-one-eye-and-one-ear hats when they first appeared and who now realize that most women look unpleasantly flapperish in them.” Ah, the fickle follies of fashion! The careful detailing of subtle changes in fashion styling (such as we see evidenced in the extracts above and below) may be used to open up a bigger discussion about the very discipline of dress history and its relative position in the academic hierarchy. In their focus on the study of the descriptive minutiae of clothing, dress historians have, on occasion, been criticised from other factions of the academic Establishment. (In)famously, in the early 1990s, Ben Fine and Ellen Leopold (socio-economic historians) suggested that dress history took the form of a “wholly descriptive catalogue” tradition, “which typically chart[ed] in minute detail every flounce, pleat, button or bow”. As I go about my work with the Parisite cables, then, I remain mindful of the need to strike a balance between ‘the catalogue’ and ‘the critical’ (for want of a better way of putting it). As well as offering valuable and valid descriptions of the fashions of the day, Parisite’s cables also hint at, and are constitutive of, the ‘workings’ of the contemporary business of fashion, too. They supply insight on the power relativities that governed that business, the mechanisms used to communicate fashion information within it, the ‘players’ of influence (the ‘cultural intermediaries’), the nature of fashion reporting (which was descriptive rather than visual due to limitations of print technology) and the links between fashion journalism, design, retailing and consumption. These critical concerns are hidden ‘between the lines’ of these brief little cables, and the dress historian is well positioned to extrapolate them accordingly. There may well be more to this dress history lark than meets the eye. Read on. And finally, before signing off, I must remember to doff my cap to academic convention by ensuring my citations are in order. The first extract (above) is from The New Yorker, 14th May 1927, p. 66, the second from 21st April, 1928, p. 68.